Natasha is our newest recruit and started work for Chamberlain in April 2018. Natasha studied and has a degree in Marketing and P.R. She has previously worked as a Legal Secretary for a top law firm in Sydney, Australia, having spent two years down under. Prior to that she worked in London and Paris as a Press Assistant for a leading fashion company. 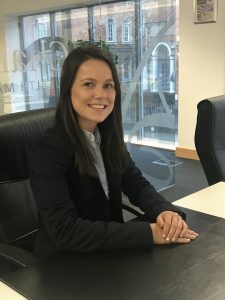 Natasha is a Trainee Client Support Administrator and handles client queries, supports the team where necessary and deals with general administration. Alongside work, Natasha is studying to develop her skills in the financial services industry.